When Marvel Comics first spun off a film-making wing specifically to turn the company’s comic book heroes into feature film stars, there was a lot of trepidation about the decision. Movies like Blade and X-Men were successful adaptations of Marvel properties, but it seemed very unlikely at that time that the superhero movie fad could prop up an entire film studio for very long. We don’t yet know the final fate of Marvel Studios, but to date it’s done very well for itself, and its plans for the future consist of sticking to the proven formula of creating legitimately quality films based on comic books. At the moment, we’re right at the beginning of what Marvel Studios has dubbed “Phase Two.” Phase One included such films as Captain America, Iron Man 2 and The Avengers. Phase Two will include movies like Captain America 2, Iron Man 3, Thor 2, and The Avengers 2. Phase Three is still a few years off but as of this morning we finally know which movies it includes – or at least, which movies have been earmarked to kick off the next phase of Marvel Studios’ existence. Speaking with MTV, Marvel’s president of production Kevin Feige offered a candid look at the first two films to emerge as part of Phase Three: Edgar Wright’s Ant-Man movie, and the upcoming film adaptation of Doctor Strange. 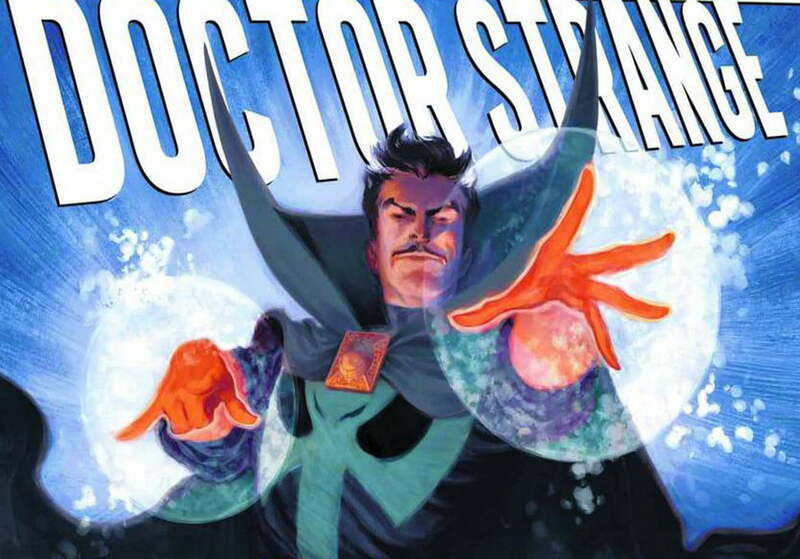 That second one is especially notable, as Feige’s discussion of the Doctor Strange film is the first official confirmation we’ve seen that the Doc will be headed to the silver screen. Rumors of this movie date back nearly three years, but now we’ve finally got official word that it does indeed exist and is a part of Phase Three. Marvel Studios may be positioning itself to use Phase Three to experiment with films it wouldn’t have had the opportunity to create prior to the massive success of The Avengers. That makes sense, and perfectly ties into Feige’s explanation of why the Ant-Man movie even exists in the first place. Much of Phase Three may be influenced by the most egregious villain in all comics – legal hurdles. Now that the Daredevil rights have returned to Marvel, it would make sense to add that name to the list. But if Phase Three is dedicated to experimental movies, we’re left wondering which other B-list heroes the firm might tap for the silver screen. Iron Fist? the Inhumans? Forbush Man? There’s something for every comic book fan in Marvel’s lineup. Maybe after all these years our dreams will finally be answered, and we’ll have a live action version of the time Squirrel Girl singlehandedly defeated the real Doctor Doom. Sounds like an awesome way to spend a few hours. The Game Boy Advance was the swan song of the Game Boy era. It also happened to have a boatload of amazing games. We decided to countdown our 25 favorite GBA games from both first-party and third-party.